People everywhere in Galactic Society know of New Colorado. A world in Terran Space known for affordable luxury resorts, grand casinos, plentiful game hunting, massive video game tournaments, and even multiple arenas reserved for use by the Liandri Mining Corporation's Unreal Tournament. Countless diversions await on New Colorado and it's capital, Gunnison. And, of course, who can say no to the mild and temperate weather? Crime is at an all-time low, and no military presence is required for such a peaceful world! Insurrectionists had long since abandoned the planet, and their stronghold now serves as an amusement park for those rambunctious kids! So come! Bring your friends, bring your family! Enjoy a grand vacation at a price anyone can afford on New Colorado! No overpowered armor. Armor similar to Mjolnir armor is acceptable at max. Work as a team, do not antagonize each other. More of a suggestion than a rule. I will be controlling one of the "antagonists" - and I use that term very loosely - in this RP. So you know what that means. I'll post my sheet when I decide who to use. I'm also bringing in another char to assist, the"antagonist" and formally discussed this with Romulan_Furry. Reason for coming here: Heard the advertisement in a bar on Earth, decided to give it a try. Bio: Mesmerin Argent is a dragon with a sad, troubled past wrapped in a cloak of secrecy and mystery. No stranger to clandestine activity, Mesmerin has been wandering the galaxy technically as a rogue, searching for those behind his mother's death and his mark for the same. As a dragon of clear Force Sensitivity, he is very skilled in the arts of Jedi and Sith, and an expert in Lightsaber combat. But do not think that means he cannot hold a gun - his skills with an assault rifle are second to none. Yes, I did speak with Alessia on her second character. But that's just something between Alessia and myself, given the nature of the "antagonist" I'm bringing in. There is no need for anyone else to be trying to help him. Posting here to make it easier to come back to, but I don't have any ideas yet. Reason For Being Here: Saw potential in developing new Energy systems here in New Colorado. Known to have bouts of anger, extremely loyal, patented several technologies that increased space travel. The profile is fine, just minor edits needed - "reason for hire" is supposed to be "Reason for being here" as we weren't "hired" to come here, the initial premise of the story is that we all decided to come here. And given what will be happening here, I don't think your ship will be necessary. Maybe. We'll see what happens as the RP progresses. Reason for coming here: Having been given shore-leave for a successful tour, Sora decided to pay the resort a visit to relax before being sent-out on another tour. Bio: A graduate of the Systems Alliance N7 Special Forces program, Sora Dazzel showed promise in the military. She has shown promise in navigational and tactical expertise, but she excelled while in the field. She has served in numerous CSAR (Combat Search and Rescue) missions, her front-line finesse having saved countless live. 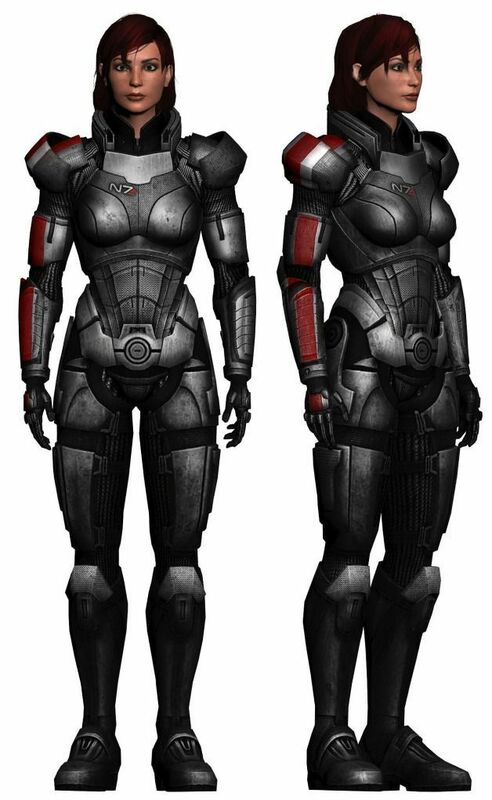 Details on the standard N7 armor: While the suit does not look remarkable, it does contain a low-level kinetic shield to provide portable protection against projectiles, energy blasts, energy blades, and small-arms explosions. The kinetic shield can be overloaded by brute-forcing (too many shots, direct-explosions, or energy strikes) to it, but will attempt to vent and restart automatically. The kinetic shield can be bypassed by slow-movement attacks such as a direct punch or a non-energy melee weapon. The suit also does contain nano-machine 'knitters' to help speed healing from wounds and allow for suit-repair with time given. Aside from these combat-specific additions, it has the basic life-support in hostile environments though even this is limited compared to the comfort and protection of a ship. Details of the pistols: Each of the pistols operate on launching a super-small projectile (about the size of needle) that is shaved off of an internal block of material. While not a concern in terms of the amount of ammunition or energy consumption, the primary concern of the weapon is how fast it overheats before requiring cool-down. Later versions of the pistol have replaceable heat-sinks that can be quick-swapped, also including the ability to coat the ammunition fired in an igniting energy or in a thermal-displacing energy (both will cause the weapon to overheat more). Smaller "pocket" versions do not include weapon-coating or heat-sink ejection, requiring the weapon to cool down normally. 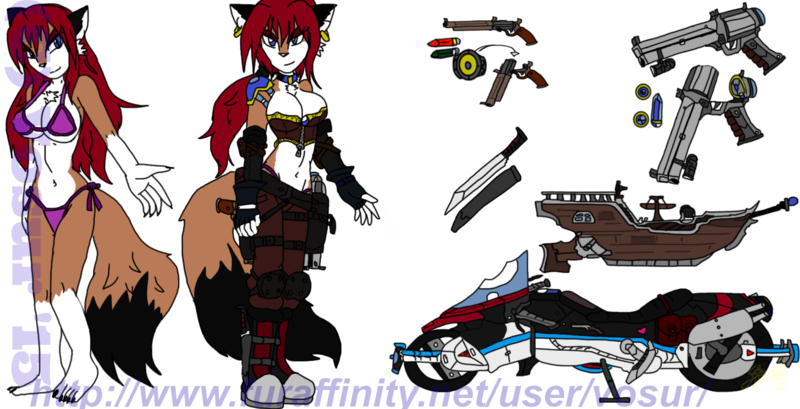 Modifications of Sora's N7 equipment: While most N7 armor types will boast 4 weapon mounting positions (two on back and two on thighs), Sora's only has three mounts: Two pistols on thighs and one "pocket" pistol on her right boot. In exchange, she will store two extra heat sinks per pistol and a thermal cooling-unit right above her hips on her back. Her main N7 Pistols contain both the quick-swap systems and the ammunition-coat systems along with a hands-free reload mechanism tied to her hip-pack to allow her to focus on the fight without needing to try use both hands for swapping heat sinks. Shot capacity: 16 normal shots per pistol or 12 shots "coated" for each main-pistol before requiring heat sink swap, 32 normal in reserve per pistol or 24 "coated" in reserve per pistol. It takes the cool down unit at least 20 minutes (up to an hour in hot environments) to fully cool-down a heat sink to be usable again. The pocket pistol only contains 8 shots before it is unusable for an hour. Reason for coming here: Vacation! The bachelorette party of a lifetime! 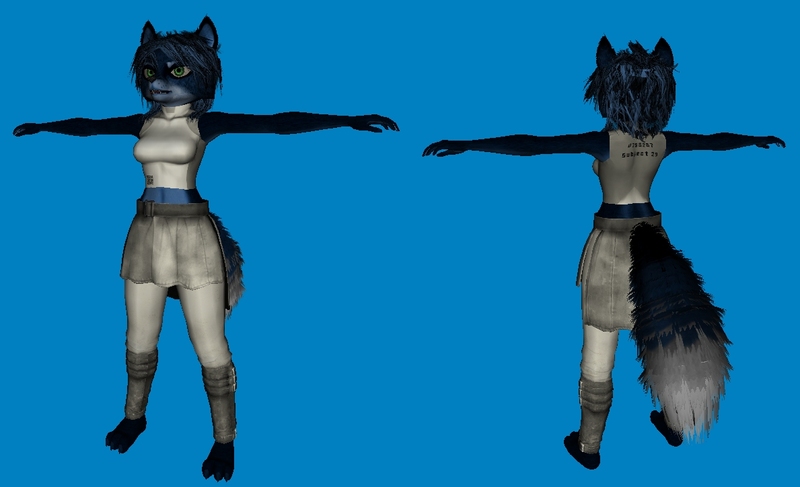 Bio: A young, beautiful fox woman with fiery red fur and sparkling green eyes, Emilá is the prize possession of the interstellar corporate magnate Moon Wolfrunner. As Wolfrunner's most beautiful, and youngest daughter, it's no wonder that she was to married off shortly after coming of age. However, this feisty young lady has other plans than being married off to some stuffy businessman and sitting on a pedestal for the rest of her life. She is a talented metapsionic and telekinetic, though she uses her metapsionics more to hide her abilities than anything else. She has come to New Colorado for what her father thinks is a bachelorette party celebrating her last bit of time unmarried, but she has other plans. She doesn't intend on this party to end! Minor detail, Vosur, that first image isn't showing. Aside from that, we're about ready to get this show on the road. Once the RP is started, loose posting order, but give others a chance to catch up, and anyone else who wants to join after the start should be referred to this thread, provided it hasn't progressed too much. Strange... it shows up for me. I'll go on ahead and edit it to use an alternate link. I'm guessing my setting might not allow those who don't have an account to see it on my main setup. And it should now be visible. Yeah it's working now... -shrug- maybe it was a typo. Should be fixed now. Sorry, I just copied the one in the first post.